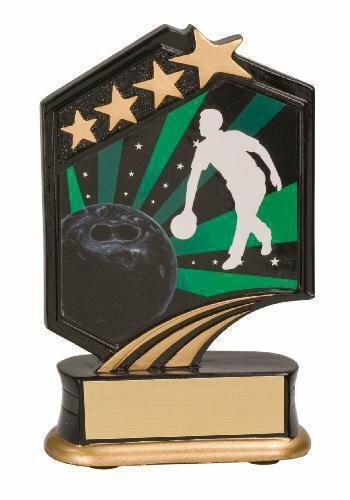 This engraveable brass bowling pin key ring makes a great team gift or award for a tournament or for a memorable season. Attached to a 1-1/4" ring, the back can be engraved to preserve the special memory. If you're looking for a unique award or souvenir at an amazing, budget friendly price point, kids will love collecting and wearing these black and yellow silicone wrist bands. Available in a variety of individual sports with eye-catching graphics, you should be able to find exactly what you need. 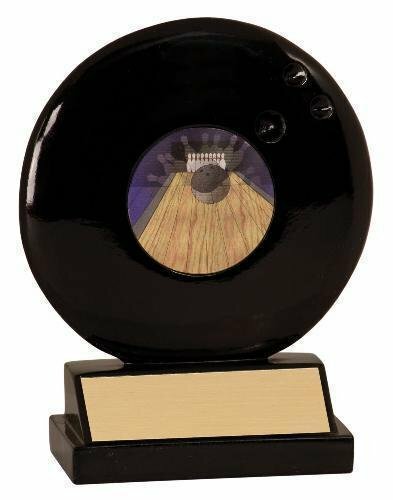 Create a trophy that is completely unique to your event by adding your own full color graphics to a topper that features a bowling ball lifted by a rising star. 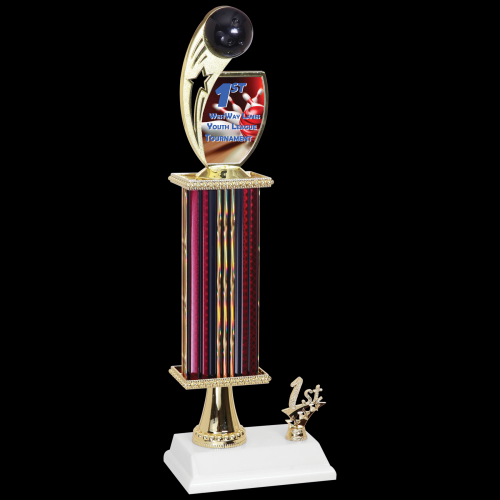 The sparkling column adds height as well as beauty, and the white weighted base accommodates a side trim of your choice. 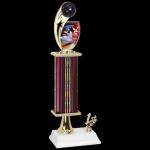 There is plenty of room to personalize the base to finish off a trophy that is an awesome acknowledgement of bowling skill.